I am an avid fan of your youtube channel, great videos, so thank you sincerely, your videos are very engaging. I am at the stage of my life deciding whether a photography degree is a worthy pursuit, of if I am better off just learning what I can myself and carving out my own photography path and career. I am 33 so going into this a little later than some, maybe?. I currently work full time (not in photography - Corporate business support for the local council) and have a mortgage, however I am trying to find the best path to go with. Would I be better off doing some 1:1 sessions with yourself and workshops rather than a degree? Is a photography degree worth it these days? I am asking you as I value your point of view. Anyway, any advise you could pass onto me I would be most grateful. Thank you so much for the kind words. We all have our stages, when we were kids, the only problem we dealt with was 'which color of crayons to use?". Way back when I was in college I wanted lots of things - " broadcaster, DJ, army, painter, architect, rock star, even barista so I can brew my coffee just like Starbucks do but two things stood out and they were photography and journalism But being indecisive I went on a computer course,where I got stuck for 3 years.... and story goes on.. Working in the corporate world supported my lifestyle, but I always wanted to fulfill my dreams for becoming a photographer and that's when Mike came in. He showed me the path and the light at the end of the tunnel. And now working as a photographer and his personal assistant, I think I can say my dream is within my reach. Want to know more about Mike's humble beginnings click here.
" Would I be better off doing some 1:1 sessions with yourself and workshops rather than a degree? Is a photography degree worth it these days? " Dear Lost on the Path ' self-teaching' is a great skill, Mike and I can vouch for it, but you are the only one who can answer this question. Sure Mike's workshops are unparalleled, however if you will not put it to use it will just be a workshop. But if blood in your vein tells you that photography is your dream then pursue it! By all means go for it! 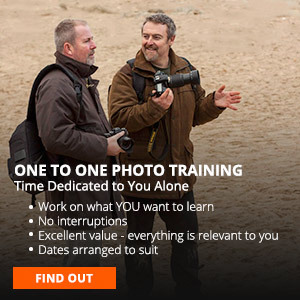 Mike’s workshops are an investment so, if you’re planning to hold on to photography and in the future make a living out of it, then take it. I remember I received the best advice from my dear friend when he said if "I was learning more, going to workshops, and investing in my business (which I did), I had to continually raise the package prices because I am becoming a better photographer, and, therefore, am worth more." Weigh things up, and consider your paths. Balance is the key. You can have a full time job and be a part time photographer. Dreams can change in the future, you might want to become a full time photographer or maybe not. What's important is you are building a path towards your dream and what you love, because if you did'nt, a piece of your heart would disappear, and simply shrivel away. And though your dream may change its shape, the path you create will not. Build a life around your passion and fight for it for the rest of your life.